Hi everyone, and Happy Thanksgiving! 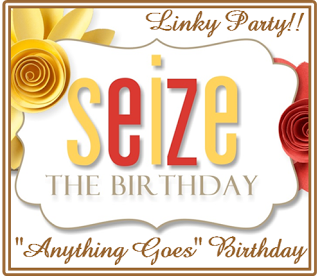 It's time for a new challenge at Seize the Birthday. This is also the final STB challenge for 2018, as the team takes time off in December for family, friends and festivities. We hope you'll find time to play along! 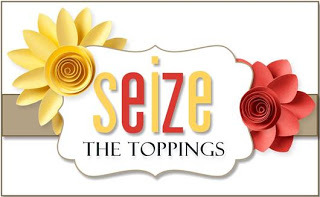 This time around the "Toppings" options is "Tags". However, you can also chose to do an Anything Goes birthday card, the choice is yours! So... you know how sometimes you start to make a card, but it has a mind of its own? Well, I picked out these background papers for my card, and had something entirely different in mind for the focal image. But then I remembered I had matching journaling cards, all from an old kit from Simon Says Stamp. The tag was much larger but I trimmed it with another tag die, and the butterflies were cut out by hand from another journaling card. The only thing that was stamped was the sentiment. Fun, easy, and so color coordinated! 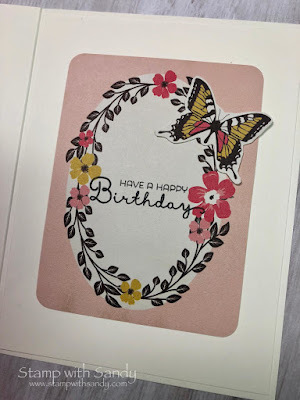 I followed through with the same elements on the inside of the card with another journaling card, a hand cut butterfly and a stamped sentiment. 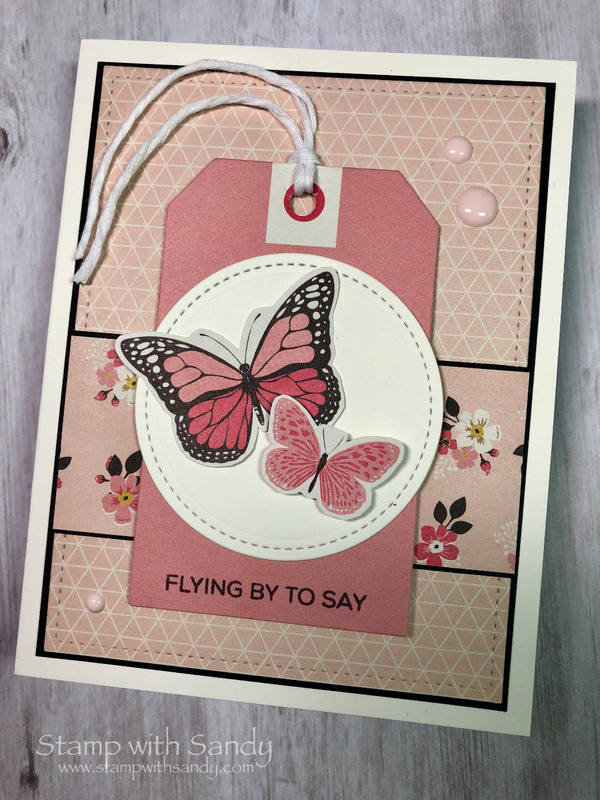 Such a beautiful way to use some card kit elements! I so often forget about making use of things like my stash of journalling cards. This is so pretty! Absolutely awesome!!! Totally love those butterflies, and all the matching elements - how did you manage to get everything look so right??!! 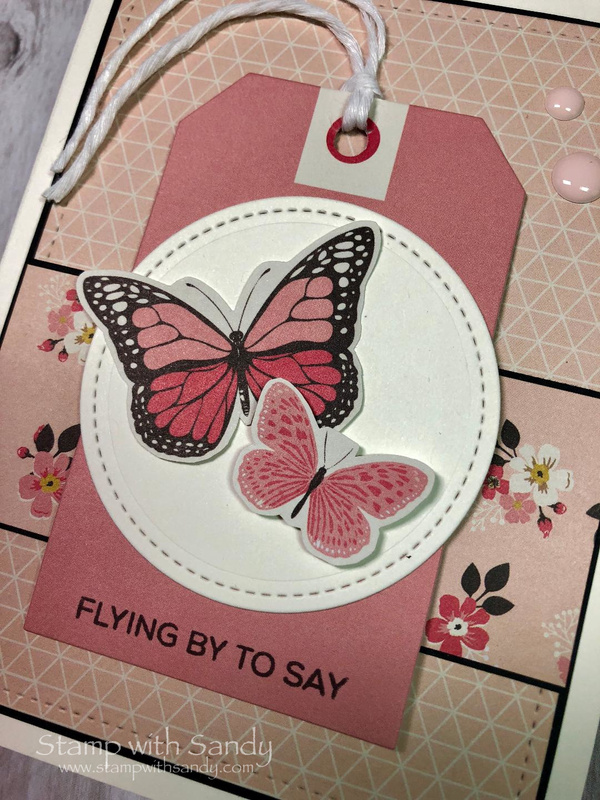 Love the pretty butterflies and the colors you have used. The inside is just as lovely as the front. With all of the matching pieces to this card, it turned out elegant. I love matchy matchy. Sorry to see you leave STB, but I totally understand. Hope your Holidays are wonderful. Sandy, the inside of this card as as perfect as the outside! Love the various shades of pink! Thanks for all you did to make STB so successful! I hope your Holiday Season is wonderful and you feel recharged in the New Year! Hugs my friend! Superb use of the patterned paper and journaling cards!!! Your card is beautiful and elegant! Wishing you a warm and cozy holiday season and all the best for next year, Sandy!! !